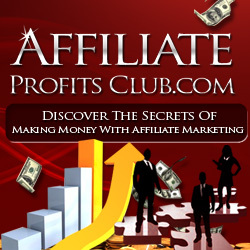 You are here: Home / Make Money Online / Which Is Better: Being an Affiliate or Product Owner? Many online marketers are earning a lot of money strictly selling other people’s products as an affiliate. They never own their own information product – they just drive targeted traffic to a site and earn a commission for each sale. So what are the pros and cons of launching an Internet marketing career as an affiliate versus a product owner? As an affiliate, you don’t have to worry about the product creation phase or the expenses involved in setting up your systems for shopping cart technology, list-building, and other aspects of Internet marketing. But a major drawback is that you aren’t in control of the product itself. You have to scour the ‘net to see if there’s a product you feel confident promoting. You can do this through ClickBank and other third party affiliate networks, but you’re always going head to head with competing affiliates for a piece of the Internet marketing pie. As an affiliate, you can’t control the sales copy or bonus items. If the product owner fails to provide good customer service, it could damage your reputation as the one who referred the visitor to the site in the first place. As a product owner, you’re chained to the entire process from start to finish. You have to develop a unique idea, create a product or pay to have it created using an outsourcing service, and then get everything up and running if you want your Internet marketing venture to be a success. You also have to recruit an army of affiliates and provide an ample toolbox filled with strategies they can use to help promote your site. But you retain control over the details of each site and can test and tweak sales copy for higher conversions and deliver any sort of product or bonus that you feel is worthy to your customers. Is one particular choice better than the other for the Internet marketer who is considering all of their options? They each have their attractive qualities and their drawbacks. In fact, most marketers do a combination of both. They’ll create their own information product in the form of an eBook and then hyperlink recommendations back to affiliate products that they promote. This increases the profitability of each product they create and generates even more passive income each time the eBook is promoted by an affiliate for the product they own.